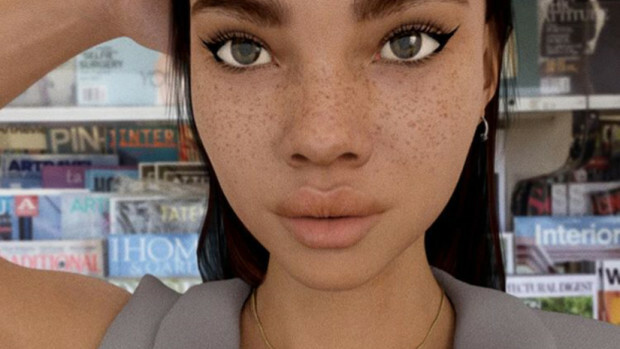 A model named Lil Miquela has generated hundreds of thousands of followers on Instagram due to her cartoon good-looks, but no one’s sure if she’s legitimate or not. Many people believe that her exaggerated features are too good to be true and she’s got the internet torn. Some people are saying that she’s a graphic designer who has been digitally altering her facial features, while others reckon it’s just some dude who is really good at graphic design. Despite the ongoing debate, Lil has kept her silence as she continues to post pictures of herself. It’s fake enough to make you question it, but real enough to make you wonder if she actually looks like that. Hair and clothes make it obvious she’s not real. I would say that it’s more to do with the fact that she looks like a computer generated avatar that points to the fact that she’s fake, rather than her clothes and hair mate. I mean, I know people are torn over the pictures, but it’s quite clear that she isn’t real – or at least is a highly edited version of someone. 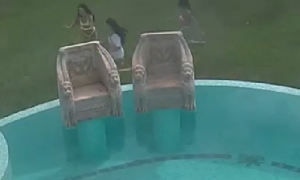 Am I just going mad here? Either way, the person behind the screen has got some good Photoshop skills. For the man who recreates his girlfriend’s healthy living Instagram pictures using beer and chicken nuggets, click HERE.